IT’S A BUG’S LIFE pider silk, already known as one of the strongest materialsforitsweight,canbeused to create artificial musclesor robotic actuators, scientists say. According to researchers from Massachusetts Instituteof Technology in US, the resilient fibres respondvery strongly to changes in humidity. Above a certain level of relative humidity in air, they contract and twist, exerting enough force to potentially be competitivewith other materials being explored as actuators -- devices that move to perform some activity such as controlling a valve. 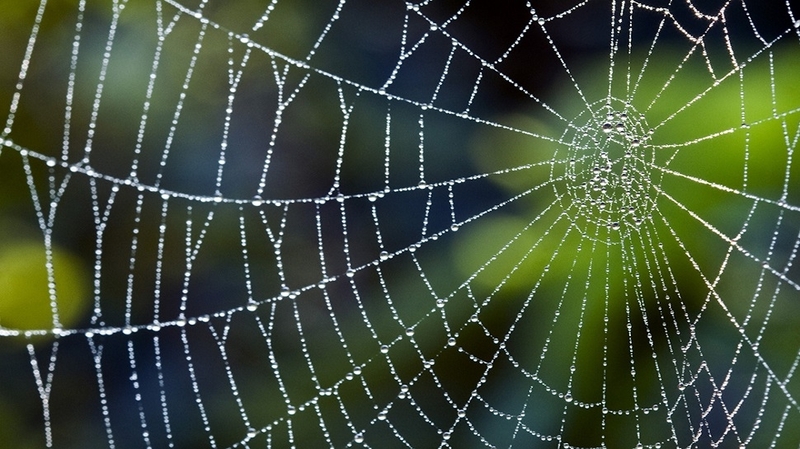 Researchers recently discovered a property of spider silk called supercontraction, in which the slender fibrescansuddenlyshrinkinresponse to changes in moisture. The findings,published inthe journal Science Advances, is that not only do the threads contract, they also twist at the same time, providing a strong torsional force. “We found this by accident initially. My colleagues and I wanted to study the influence of humidity on spider dragline silk,” said Dabiao Liu, an associate professor at Huazhong Universityof ScienceandTechnology in China. To do so, they suspended a weight from the silk to make a kind of pendulum, and enclosed it in a chamberwheretheycouldcontrolthe relative humidity inside. “When we increased the humidity, the pendulum started to rotate. It was out of our expectation,” said Liu. The team tested a number of other materials, including human hair, but found no such twisting motions in the others they tried. “This could bevery interestingfor the robotics community, as a novelway of controlling certain kinds of sensors or control devices,” said Markus Buehler.